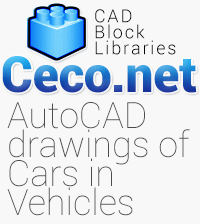 Description for this Autocad block : The Peugeot 206 RC was introduced to Europe. 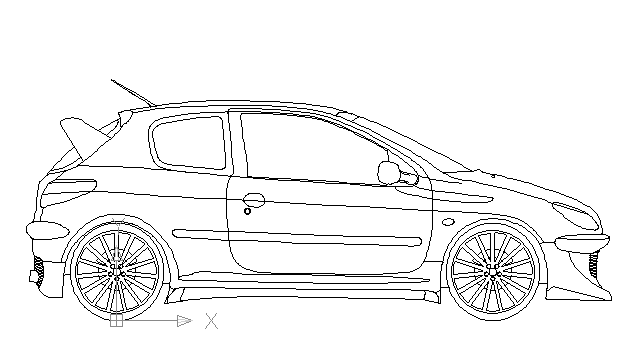 Some features on the 206 RC include 17 inch alloy wheels, racing bucket front seats, a short shift gear linkage and altered gearbox ratios - 1st and 2nd gears.The new car was capable of reaching 62 mph -100 kmh- in 7.4 seconds. The 206 GTi 180 and 206 RC were produced to celebrate Peugeot s rallying successes from 2000 to 2003, and to replicate the success Peugeot had with the 205 GTi in the 1980s.